SkinCeuticals offers a comprehensive skincare range designed to address the entire spectrum of skin concerns. It is a clinically proven line, that includes cleansers, topical antioxidants, toners, corrective serums and creams, moisturizers, sun protection, and more. SkinCeuticals features pharmaceutical-grade ingredients that have the scientific proof to back up their claims, which means results to you. At the Centre for Plastic Surgery, we pride ourselves on offering a carefully selected range of medical grade products with tried and true outcomes. 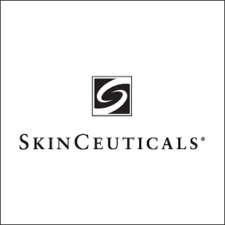 SkinCeuticals is known industry wide for their authority on anti-oxidants and many other products that are essential for overall skin health.Born from decades of skin cancer research, SkinCeuticals high potency formulas are concentrated in pure actives and proven to penetrate optimally into skin to both correct and prevent the signs of aging.